A good website is critical for any small business. Without a web presence, you are effectively invisible online, which means your competitors have the edge. So as you can see, a website of any description is better than no website, but since potential customers are likely to check out your site before they do anything else it needs to be well designed. 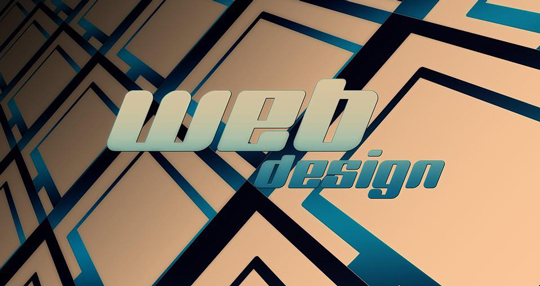 Poor website design has a big impact on a small business. You may have your hosting package all sorted thanks to makeawebsitehub.com, but if the site’s design lacks finesse, you could be losing customers hand over fist. Unfortunately, many small business owners make this mistake. To save money, they design their own website, but because they have no experience of website design, they make critical errors. Here is a quick guide to the worst errors you can make when designing a website. Try not to tick any of these boxes. If people can’t find their way around your website, they will soon lose patience. Most of us have a very low patience threshold when surfing online content. If a website takes forever to load or we can’t find what we want in 10 seconds or less, we move on. Position your navigation menus in a prime location and create links between different sections to make it easier to navigate large blocks of content. Too many things happening at once are confusing. Bright colors, spinning graphics and crazy animations are OK if there is just one of them, but the more you have on the page, the harder it is for the reader to concentrate on what’s important. Make sure your primary message is not lost in a sea of neon colors. At the other end of the scale is the minimalist page. There is nothing wrong with calming space and simple imagery, but visitors need to know what the website is about and what you have to offer. If they are left scratching their head, your website is not hitting the mark. Graphics are good, but they need to be relevant. Avoid using ugly images that don’t fit the content or are poor quality. These will confuse visitors and make it harder for your website to convey the right message. There is nothing with having ads on the page, but not if they detract from the user experience. Pop-up ads or interstitial pages have their place and if uses wisely can perform well. However, make sure they are not too annoying. A website needs a strong call to action. Think about what your CTA is and how you can get the message across in a clean and meaningful way. If you want customers to sign up for special deals, give them the right information in the right place. Without the right contact details, how will your customers get in touch? Make sure the contact details are easy to find and preferably on the home page. In in doubt about how well your website performs, ask a test audience to look at your website and give you objective feedback.